As it goes, I continue to create dioramas that require books: stacks of books, burned books, shelved books…or just a single placed book to complete the look. Since books are ubiquitous in modern times and come in all sizes and shapes they are perfect diorama objects that create the illusion of recognizable “stuff” in a chaotic scene. Books are also a detail that are rarely an anachronism. Except for covers, of course. So…in line with the smallest WEIT so far known to man (which also first appeared in a WWII diorama), may I present upon a dusty desk in a ruined French Garage during France’s WWII liberation another wee and anachronistic book. Faith vs. Fact (Viking, US ed. ), 4mm x 6mm. The stark and bold cover of FvF made for an easier macro rendition than the colorful and image heavy cover of WEIT. Thanks for writing a couple of books that I could incorporate in my dioramas and make them more personal, ironic, and just plain cooler. The first photo is the close-up, and then they zoom-out. 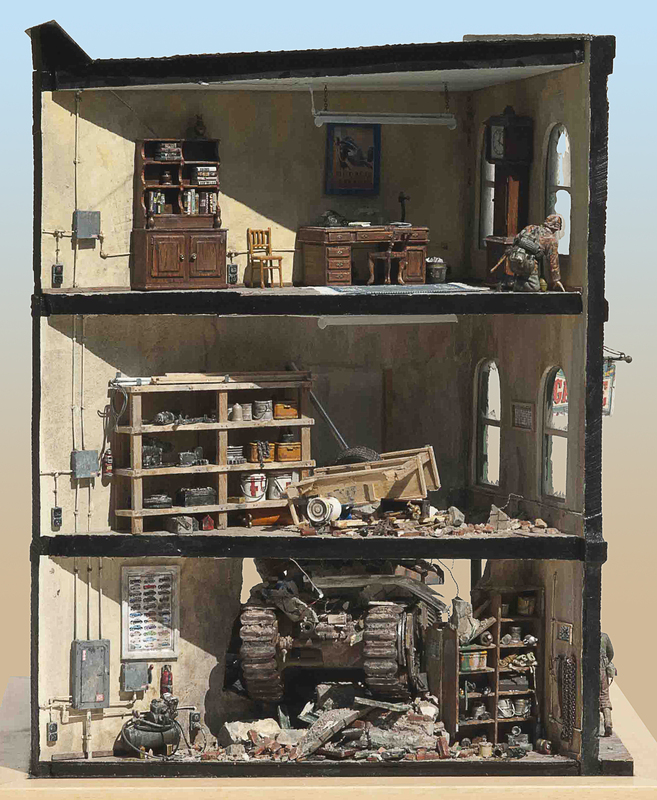 The third photo is the entirety of the back-view and a cross-section of the tank-demolished garage. FvF lies upon the desk on the top floor. This entry was written by whyevolutionistrue and posted on December 20, 2018 at 11:45 am and filed under art, Faith versus Fact, Faith Versus Fact (a book), self promotion. Bookmark the permalink. Follow any comments here with the RSS feed for this post. Both comments and trackbacks are currently closed. That sure looks like Donald Sutherland from KELLY’S HEROES. Yeah, I can see a bit of him…and some John Wayne as well?…maybe not. The details – they are so captivating to wander over the entire work, looking for them… excellent work – I do remember the set from last time. As someone who is laboring over a dollhouse for a 6-year-old, I am very impressed! 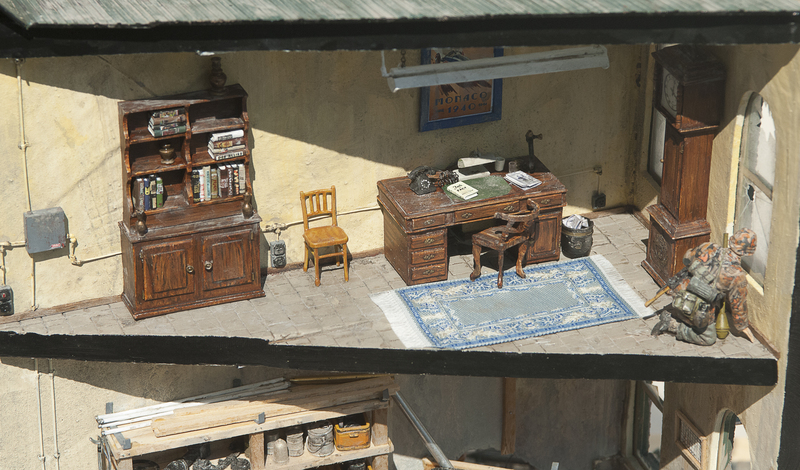 The art of miniatures is fascinating, and Mr. Richardson is very talented. What incredible work. I’m amazed. I can’t even express how impressive this is, Mark. Wow! The detail is amazing. I just spent a considerable time scanning thru all this, and time went by very quickly! Thank you for sharing, but especially for doing this. Very nice ,i make models as well ,and i am Tamiya XF61 with envy .The detail in his work is amazing . A little modelling joke there ,XF61 is Dark Green paint . I followed the link to where he gives a list of models and other stuff used ,the French FFI with the beret figure is based on a real man ,the photo is on line . I have trouble painting the eyes on 1/35 scale figures .Most of them looks cross eyed and another going by how dilated his pupils are is high on something . Thanks, that was a good one…I am aware of that Tamiya color. Hi ,i have heard of Archers ,but trying to deal with the small size of them would drive me crazy . Like your Losing ground diorama ,it has a bridge crossing a stream . On one end of the bridge is the Tamiya Krupp Pronze ,the kit with the German officer standing next to the driver . On the other end is the Zvezda Motorbike and sidecar kit with the dead trussed up pig in the sidecar ,i think the officer fancies pork chops for dinner hence the title . Don’t know if i will finish it . 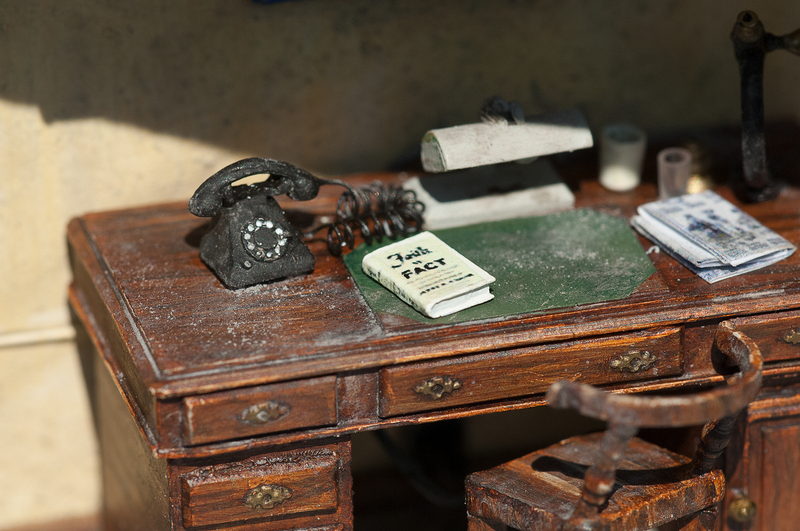 For me, the hardest part of a diorama is the story-line. Once I have that, the rest unfolds with less frustration and wasted time. You’ve got a good story with the pig and dinner. Keep at it; I’d like to see it. I use a 2Ftx2Ft peice of hard board as the base ,which is i now know is a tad on the large size . Oh boy, that is a lot of space to fill. My largest is 27″ x 12″ and it took a little over 9 months of steady work. “Losing Ground” is 24″ x 12″ and took about the same amount of time. Very satisfying once they’re complete though. The main part is in the middle ,so i am thinking of cutting the bits either side off ,it is made out of those green foam blocks that florists use ,with a coating of polyfiller type stuff on it . Forgot to mention ,there is a Japanese company named Aurora ,they make figures in white metal .They do a set of cats in 1/35 scale ,the only tiny fault with the diorama is there are no cats . Thanks for the tip, I’ll check out Aurora; I’ve gotta get those cats! I’ve never seen cats in that scale, only dogs. Dioramas are a great way of catching people’s attention and making historical events visual. Forty years ago, I worked in the Science Museum in London in the history of medicine and one of my first jobs was to collaborate in the restoration of twenty or so dioramas concerning events in the history of medicine (Jenner and vaccines, Lavousier and oxygen). The dioramas had been made many years before for the Wellcome Museum Trust which was an amazing private collection (about a half million of medical related objects) In about 1980 there was a transfer of this collection to the state museums (Henry Wellcome left the collection to the state in his will some years prior: the Wellcome company had sales reps all over the world and they had a remit to send interesting items back to the London collection in the Kensington galleries. It took 5 years for about fifty people to sort and catalogue the collection which was stored in a number of places: we did not yaet have computers available so everything was written by hand and the objects were regitered in ledgers. Computers (flexowriters using paper tape) were introduced a bit later. My role was pretty banal, the careful transfer between museum and the craftsman’s workshop of the dioramas (about 80 miles on a lorry). However, the restorer explained what he was doing and showed me how he could enhance the three-dimensional effect by creating modelling by painting in highlights and enhancing shadow, over and above using the lighting built into the model. The use of backdrops and exagerated angles to give the illusion of depth. He was effectively bringing them back to life. Fascinating. A bit like stage-design in miniature. I still have a strong visual memory of several of the dioramas that can be seen in my link. Whoa, thanks for the link. Those dioramas are incredible. Great subject as well; I’ve never seen anything quite like them. I see what you mean by the 3d aspect of many of the dioramas- very well done. That would have been a great job/experience…except for the fact of no computers. Yikes! Thanks again for sharing your experience and the wonderful dioramas. Nice to get your enthusiastic response: that was my first “proper” job. I’m often a bit sorry I didn’t make a better career out of it (“but I was young and foolish”). My interest in history of technology effectively came from there. Henry Wellcome (who put the collection together) is an interesting character: he patented the modern “tablet”, that is the compress which replaced the hand made pill. This enabled mass production of pharmaceuticals which made him very wealthy and made a MASSIVE contribution to modern health. The drug is mixed with powder containing a bit of dry gum and punched out like bullets out of a machine gun (more or less the Henry Ford of Medicine). Fortunately he was something of an altruistic entrepreneur and made sure his money was aimed at scientific development (hence the Wellcome Trust and Museum). His wife was a famous interior designer which might account for the interest in dioramas. (Syrie Maugham who was famous for the “White Room” and their rather public divorce before marrying the writer Somerset Maugham). Thanks for this added information. Fascinating. Thanks everyone for your kind words and encouragement. WEIT readers are the greatest…not to mention the host! Georges Claude neon or neon/fluorescent tubes I suppose? Is it a garage with generator? I’m thinking you’re telling a story so that’s the rear of an Allied AFV & possibly US paratrooper outside. But can’t place the AFV – might be a Sherman, possibly DD version, but overall looks a tad narrow for a Sherman. Maybe a light Brit tank, but I can’t match the rear with any I know. The towing clevis looks very Sherman in shape & position. Presumed US paratrooper: boots or leggings seem incorrectly tall for that ID though. You did well… correct on the tubes and generator. The camo got a little saturated in the photo, but it is Platatanenmuster plain tree pattern autumn variation. This was an earlier camouflage, but used until the end of the war. I’ve seen it used in urban dioramas as it does blend in well with rubble and such. Esp. when faded out a bit. The tank is a recaptured French b1 bis that the Germans captured earlier in the war. The link to the entire diorama is here, so you can see the front and side-views and read the ‘copy’ if interested. I’m not a stickler for 100% accuracy as some military builders are. I use quite a bit of artistic license in certain dioramas, or am stuck with the figures on the market that might not fit the particular year. The vast majority of people don’t notice…I’m sure someone like you would notice some of the inconsistencies. Thanks for your fun comment. Do you want to tell the gang what we in the model making world call those who insist on 100% accuracy ? There’s a few terms & it varies somewhat with the hobby genre. Bolt counter, river counter, “serious model railroader”, nitpicker are the polite ones I know. I don’t know anybody who “insists on 100% accuracy” given that it is impossible to model to that level as we use mostly substitute materials, track itself isn’t to scale, most modellers don’t obsess about hidden insides or ‘underneaths’ & knowledge is incomplete. And so on. Unintended anachronisms crop up all the time & they’re a learning moment for those who aren’t over protective about their creations – & I’ve had a few. What I like about recreating a moment in time & space is the width of research that’s required – from advertising posters to hats. There are some interesting discussions about representation & there’s boring, useless discussions about when X feature first appeared/disappeared etc. What is particularly interesting to me are simple, effective effects that have no right to work at scale, but do so better than a more accurate representation. La foi contre le fait. That would have ruined it. What I like about recreating a moment in time & space is the width of research that’s required – from advertising posters to hats. So very true, and well said. I wouldn’t even be into this hobby if it wasn’t for the internet- to do it properly, many rabbit-holes must be entered. Having any query answered (usually) via the web is a huge advantage for this type of work. One of many reasons why I have great respect for people like Francois Verlinden and Sheperd Paine; two pioneers in the hobby who started out with only books and the library…and very few detailed kits. 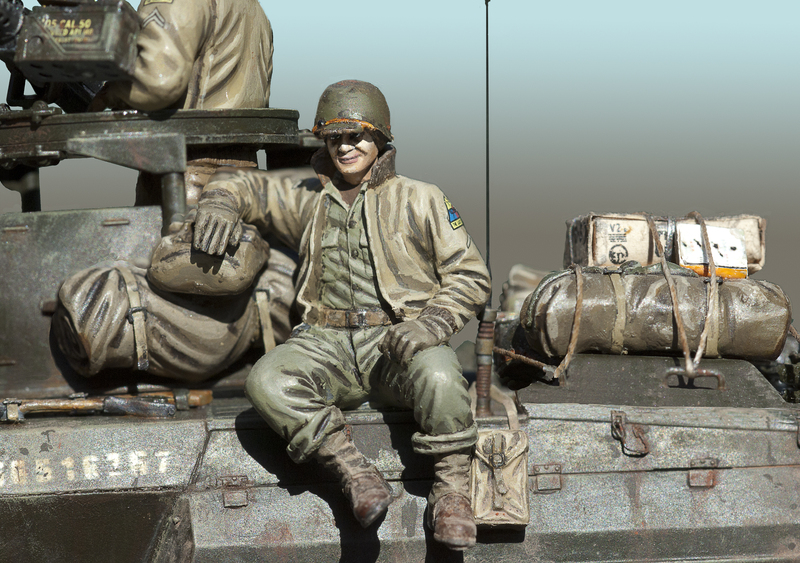 Verlinden is hugely important because he decided to do something about the kit problem, and founded a company dedicated to the diorama builder. 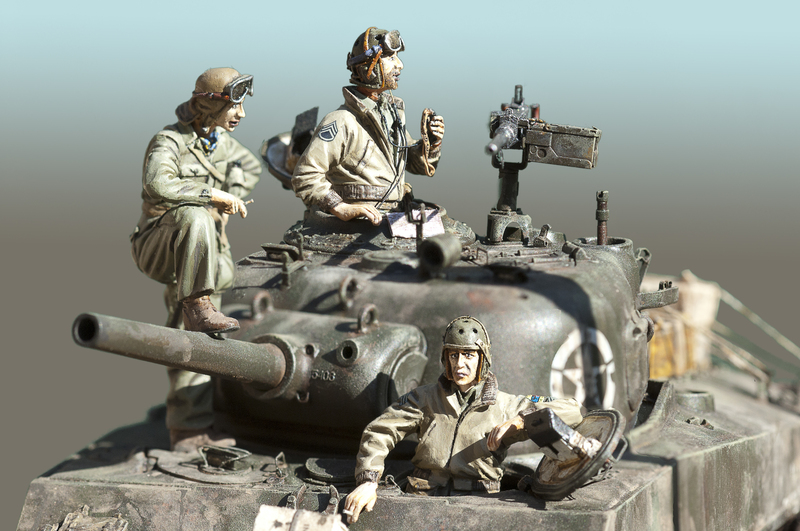 He died a number of years ago (as did Paine), but his production company still produces the widest variety of scale figures and diorama accessories on the market. Rivet counter is the term i was thinking about. Those deaths – I didn’t realise being out of touch… I like Verlinden’s work & I’d forgotten about Shep until you mentioned him. Also the figures of Bill Horan – amazing. Somewhere I have Verlinden’s book [the vol I] on modelling WWII aircraft. I suppose I’m stuck in Verlinden & earlier time – his work was restrained by today’s standards. I liked the compactness of some of his dioramas [the ones he built – not the products sold based on them which were beyond my pocket]. There’s some aspects of the contemporary modelling world I don’t appreciate – a lot of overdone-ness seems to be a trend. Railway stuff is fairly immune as the rolling stock is usually maintained & washed IRL when possible. A lot of beginner modellers jumping in too early with advanced stuff before they can make a chord [so to speak]: ‘super-detailing’ & extreme weathering without paying enough attention to the mechanics of how those changes came about in real life. There’s a lot of basic modelling problems that haven’t been solved without going crazy on the muffler exhaust stains, the trails aft of the cartridge exit ports & the scratched paint on wingroots etc etc. e.g. I went to the Duxford Battle of Britain Air Show in September & got a really good position near the taxiway as the WWII stuff rolled past – it was cloudy & rainy with weak low light in the afternoon & it showed up really well the difference in every single panel – the ripples & rumples. These are immaculate aircraft of course, so these things show up clearly, but even the modern jet trainers have this ‘look’ about the panels I’ve never seen modelled convincingly. Thank you very much jblilie!